The original people of the watershed were the Lenni Lenapi. 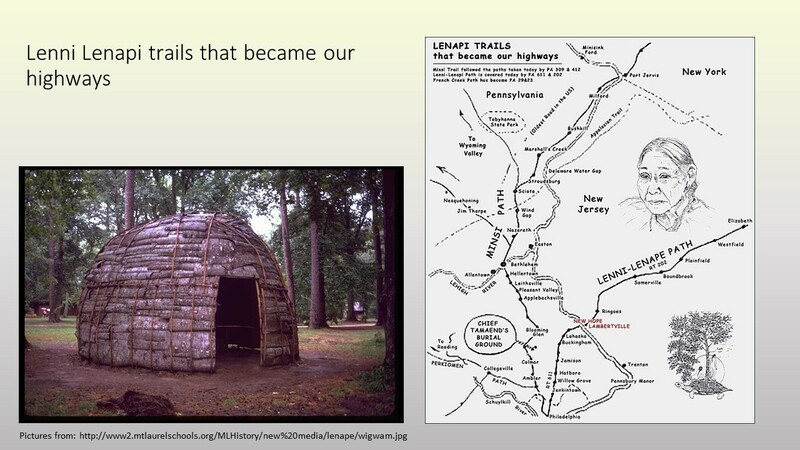 The tribal name, Lenape, can be translated, from the Algonquin language, to mean “Original People or True People”. In the spring the Lenni Lenapi would plant crops near their permanent village. During the heat of the summer they would travel to cooler shore areas around the Raritan Bay, where they would eat fish, clams, oysters and mussels and live in more temporary shelters. 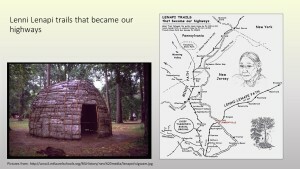 Prior to the arrival of the first European explorers and settlers, the Lenape had developed an extensive trail system across the wilderness of New Jersey. Originally, the trails were only wide enough for travelers to walk in single file, but these trails would eventually establish the routes for many later European wagon roads, thoroughfares and later our highways. 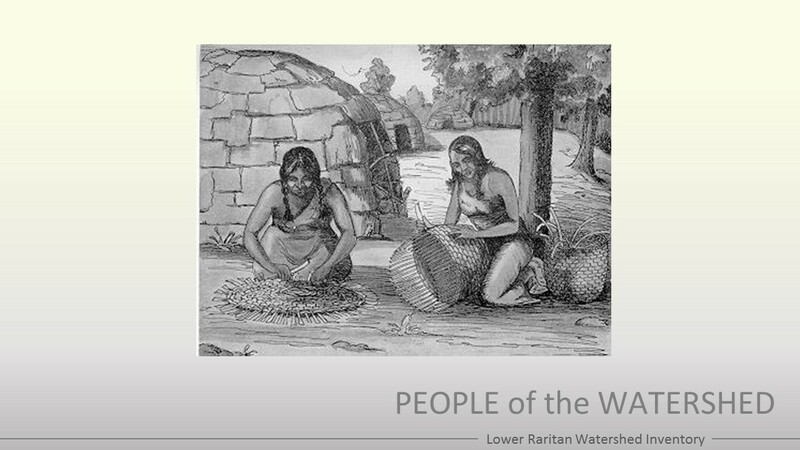 The LRW in New Jersey was one of the first to be settled by Europeans. 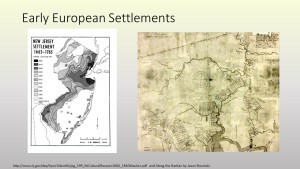 In the timeline by Peter Wacker (left hand image) we see waves of people settling New Jersey spatially with some of the earliest settlements in our watershed. 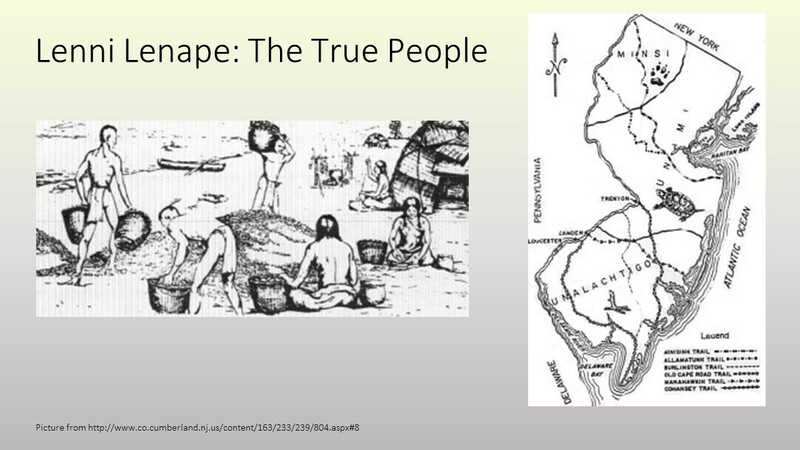 The Dutch were the first Europeans to thoroughly explore the Raritan Valley. This 1685 map (image on the right) shows some of the first divisions of land along the river. 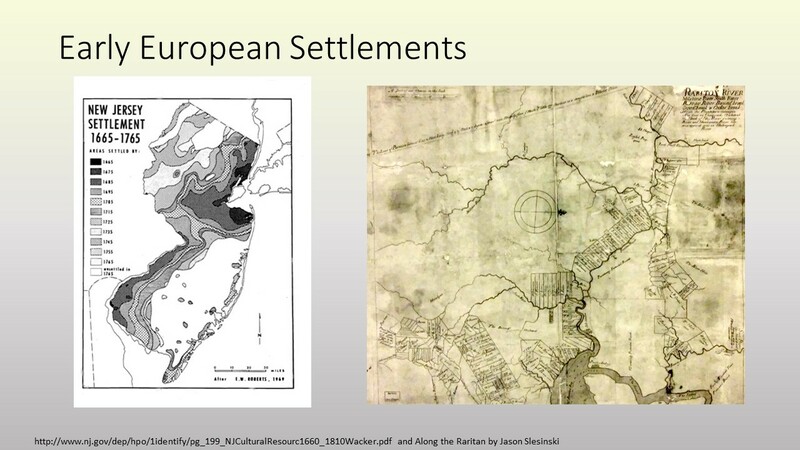 Even at this early time, settlements were beginning to build up around the Raritan. Sayreville is now known for industry but it wasn’t always that way. 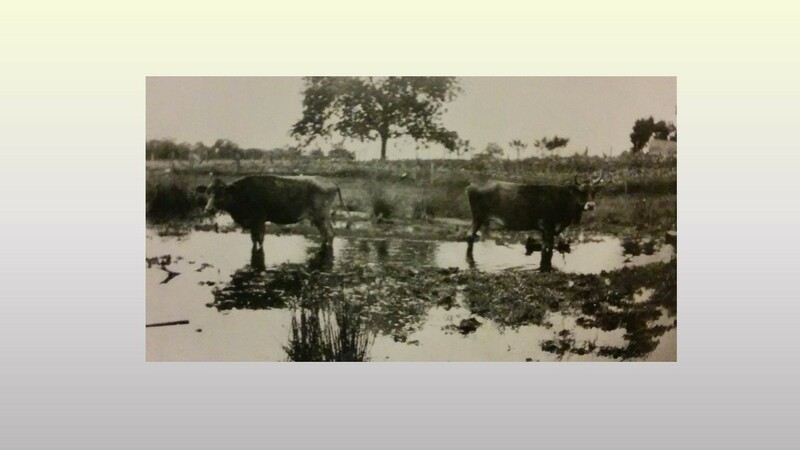 Before the coming of National Lead in 1934 when clay mining was the dominant industry, there was room enough for cattle and other livestock to roam the landscape. These cattle from around 1910 graze near the present location of the Garden State Parkway. One of the factors promoting diversity is and was present in the state’s physical makeup. Physiography, soils, drainage, vegetation, resources and, to a certain extent, climate, vary remarkably for such a relatively small area. 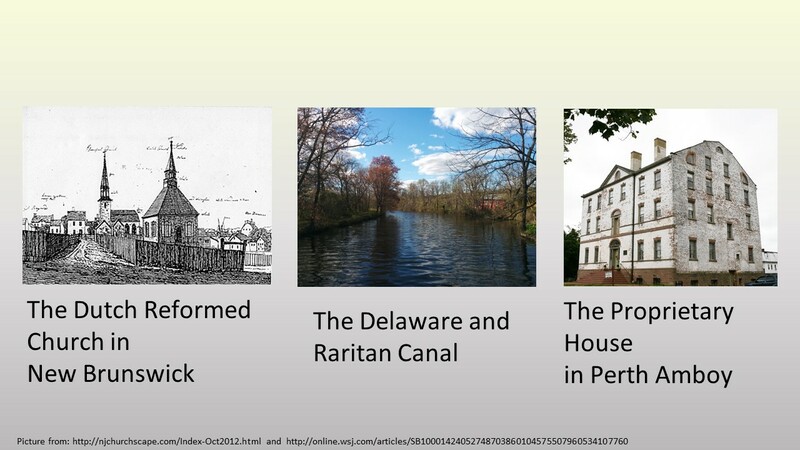 These physical factors provided quite a different set of economic opportunities from place to place and through time, There are still remnants of this history in today’s landscape such as the Dutch churches that can still be seen in New Brunswick, the D&R canal which was built by Irish immigrants and the Proprietary House which stands as the only surviving royal governers mansion in Perth Amboy. Like the contours of the Raritan and the Lennape trails before them, the railroads of the watershed shaped development on the landscape. They helped industries flourish and, bringing passengers and freight, shaped many of the towns along its line. 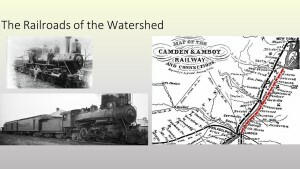 New Jersey’s first railroad, the Camden and Amboy Railroad connected New York with Philadelphia (a remnant of the line can still be glimpsed in Helmetta). The Raritan River Railroad connected towns inland to New Brunswick and to factories that once stood there.